This is completely amazing product. I have been is so many car accidents that I have a bad back and having scoliosis so I am in constant pain. Pain medication can only do so much, buying a new bad hasn’t seem to work either. I love that it has 8 modes to help with pain relief. It has a vibration mode all the way to tingling feeling mode. You can make the strength from soft to stern strength. I also love that you can charge it for 3-4 hours when you first get it and it stays charged for up to about 5 hours depending how long you use it for and the speed. There is also a setting which you can set it to go off automatically after 10, 20 minutes up to 60 minutes. 4. 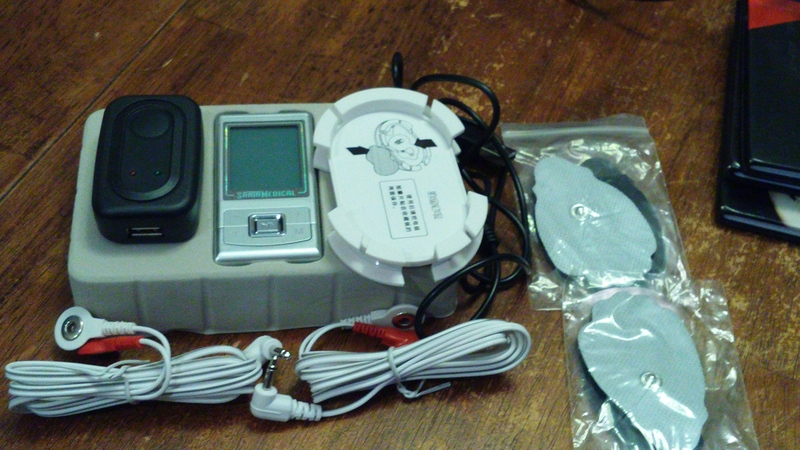 The rechargeable power adapter to recharge your tens device. Since I been using this I have had a little relief which not everyone will have a full pain free relief from using this. But, I can say from my opinion that is subsided the pain a little more then usually and I find myself not having to take pain medication as much. I received this free inexchange for this review.